Part of the reason we have been able to live and thrive in Mexico is through running a virtual business. This is nothing to new to me since I have been running online businesses since the mid 1990’s, late 1996 to be exact. That’s when I founded an online retail store that quickly grew into a 10 million a year business with 25 employees. We were the second-fastest growing private company in Colorado for 2 years in a row! Ultimately we sold that business and went on to start several other highly successful online niche retail stores. What I have learned over the years is the technology of the internet enables people to create a virtual business and do it with very little overhead. I recognized very early on how the internet would change our world and it has inspired & enabled us to live a life on our own terms from anywhere in the world we choose to live. All we need is a high speed internet connection and we are in business! After a long run in the online retail business we shifted our focus to helping others create their own online business or growing what they have through proven online marketing strategies such as search engine optimization to drive targeted traffic and leads. YOU CAN run an online business. We can get you started! Looking to start something online? A job you can do from anywhere? A business you can run from paradise? You run on your OWN schedule. Our virtual business consulting services are one of a kind. 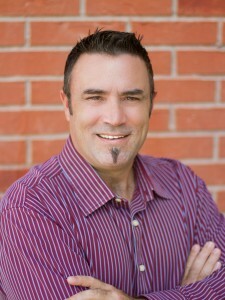 Ron and Matt both have extensive experience building and running ALL types of businesses online. 1 hour of flex follow-up time to go over your questions and get you going! There is no massive learning curve and you will find the process to be empowering and fun. We love to watch the glow in people’s eyes as they realize they are building a foundation for success with minimal time and money invested. This is NOT a get rich quick deal or an internet scam to take the money and run. This is about building your sustainable business online that you will be proud of and that you should be passionate about. It’s going to take some time and commitment from you to make it work, especially in the beginning while you learn and earn. There’s no sense in doing something unless you have a passion for it! So if you stopped at this page for a get rich quick deal, multi-level marketing or an automatic switch of some kind you are in the wrong place. Those plans are short lived and always too good to be true, trust me I have tried most of them! How do I turn my great idea into an online business? How do I get my website setup to make money fast? How do I get targeted traffic coming to my website? Which tools & resources will save me the most time & money? You CAN DO all of this and get the step by step guidance along the way directly from myself and my team members that will show you the easy way to make it all work for you. Yes there are costs involved with starting any new business, but they are absolutely minimal by comparison to starting a traditional business. We can show you how to get a small business started online for as little as $500 which includes a basic website. Work it at your own pace and start small, “from the acorn grows the oak” and I have seen it repeated over and over since I have been doing this! 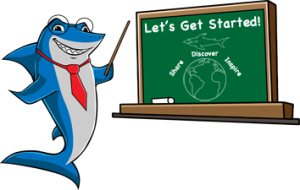 Don’t be intimidated by the shark-he is one of the most successful species on our planet…we have that as our Manifest Income logo to get you thinking like a shark…you have to keep moving and keep making to survive and thrive online. Be a shark! If you are ready to take the next step in your adventure and running an online business is something that appeals to you, lets talk about it. My planning session with you is FREE and I will not pull any punches with you. If you have a good idea, I will tell you, if I think it won’t work I will tell you. If you don’t have an idea yet I can help you find one! This stuff gets me excited and you can leverage my passion to help people to your advantage! I love helping people build businesses…it’s the best feeling in the world to see someone follow the steps we have developed and see success! That’s awesome! If I can do it, I know you can do it too, all it takes is the will and the passion to follow through. Are you ready? If you are let’s start making your dream business a reality!